The British Pound also called ‘pound’, ‘sterling’, or ‘pound sterling’ is the official currency for all payments in the United Kingdom and few other territories. Its international abbreviation is “GBP”, which comes from Great British pound and its currency sign is (£). The symbol derives from the Latin word “libra”, which meaning is “pound”. One pound is equal to 100 pence ( p ) since the “decimalization” in 1971. The British pound is the oldest currency (fiat currency) in the world, and it’s still widely used today. Its existence began in the late 8th century. It participates in more than 12 % of all transactions on the foreign exchange market (FOREX). This makes the currency the fourth most used in the world after US dollar, the Euro and the Japanese yen. Because of its common use, the sterling is used as a reserve currency by many countries in the world. It’s the third most use currency for this purpose, after the Euro and US dollar. The UK is among the last of Western Europe’s major countries that have not adopted the Euro (EUR) – the currency of the European Union (EU). Therefore, the pound is the legal tender for all payments in the United Kingdom. That means that a debtor could not be successfully sued if she/he had paid in legal tender. This doesn’t mean that this is the only currency used for payments, but this is the currency in which a payment cannot be refused by any kind of creditor or the government in the UK. The British pound is a freely traded currency, and its currency rate fluctuates, depending on the supply and demand of pounds, which themselves are determined by many other macroeconomic and political factors. The value of the pound is backed by the government, no gold stays behind it. This means that the pound has a value just because the authorities say so. 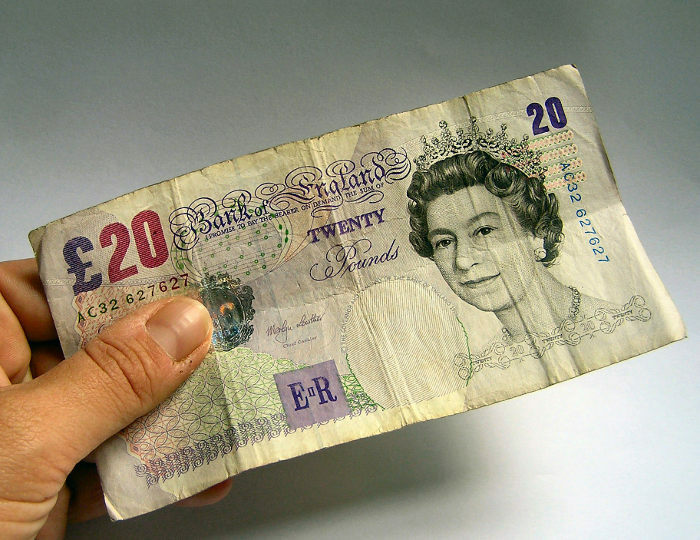 There is a law which defines the pound as “legal tender” and only this makes the little-colored sheets of paper valuable. Previously, the pound was backed by gold during the period of the Bretton Woods agreement, according to which the sterling was pegged to the US dollar, and the dollar was pegged to the gold. Therefore for a certain amount of pound, a certain amount of gold could be redeemed. This system took apart in 1971 and since then the value of the pound is free floating. The issue of the physical pounds (banknotes and coins) is handled by the Bank Of England which is also referred as “The Central Bank”. Also, 7 other banks in the UK have the right to print their banknotes.